The cultish soda often confused with gum, Big Red is kind of a big deal in the Lone Star State, where they put it in everything from cups of peanuts to cups of tequila. But we'd like to suggest you put the stuff in pudding pops next, specifically these ones by House of Yumm. 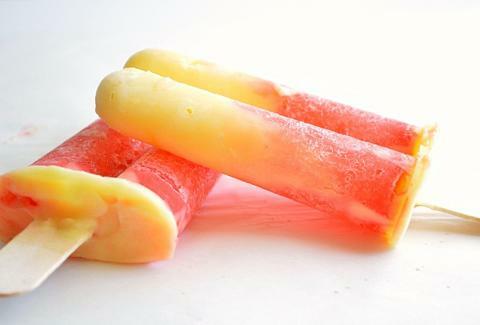 To replicate the two-toned treats, pour some vanilla pudding into a popsicle mold, add Big Red, then freeze for about four hours before adding an extra kick of pudding and giving the pops another two to three hours in the icebox. You'll essentially end up with a bubblegum creamsicle, which can easily become a boozy bubblegum creamsicle with a little imagination. Kristin Hunt is a food/drink staff writer for Thrillist, and plans to experiment with root beer float popsicles post haste. Follow her at @kristin_hunt.